BRASS BODY: Manufactured from brass, ensuring quality and longevity. EASY OPERATION: Single lever design for effortless flow and temperature control. 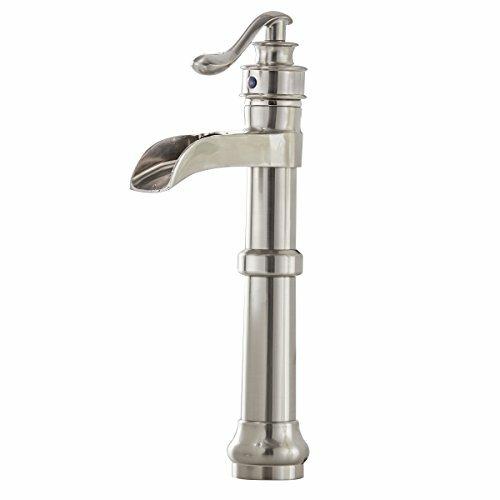 Greenspring FAUCET:Includes water hoses with 3/8" female compression connector, U.S. standard size. If you need Pop Up Drain please check ASIN:B018I708XK(with overflow),ASIN:B0721SJNXT(without overflow). LIFETIME BREAKAGE WARRANTY&30 DAY FREE EXCHANGE GUARANTEE: In case any broken problem happens, contact Greenspring service to help you solve the problem until satisfaction. If you have any questions about this product by Greenspring, contact us by completing and submitting the form below. If you are looking for a specif part number, please include it with your message.